Mobile Offshore Production Units (MOPUs), Floating Production Storage and Offloading Units (FPSOs), barges and liftboats are all production platform options that should be considered when developing remote, deepwater or marginal fields where conventional production facilities or export pipelines may not be available or economical. 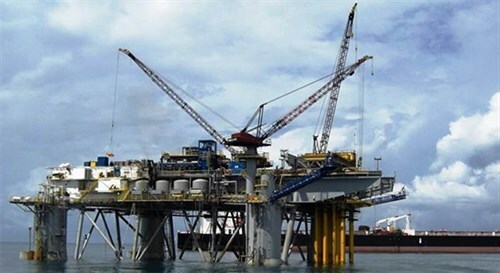 Early, temporary and interim production facilities can provide operators with the ability to fast-track first oil or gas on new or marginal field developments. For marginal fields, a MOPU can provide a flexible solution where life of field is unknown or does not justify a permanent platform. Alternatively, it enables companies to monetise an asset ahead of the complete field development, including when permanent production facilities are being built. Expro has extensive experience working with operators on each of these platforms, including a number of successful fast-track projects which achieved first oil in a short time-frame. In many cases, these projects are delivered in areas with little or no infrastructure. During the delivery of these types of production units, we can either manage the marine element of the project or partner with a marine supplier. Process equipment is sourced from existing inventory where possible, configured offsite and requires minimal construction of site piping and ancillaries to complete onsite installation. Our customers benefit from in-house manufacturing facilities, process engineering, and construction expertise, allowing us to manage the supply chain to achieve fast-track delivery of projects in a matter of months. Expro adds further value by offering MOPU facilities on either a lease or sale, operate and maintain basis. With a track record spanning over 30 years with production facilities in over 30 countries and in excess of 350 million barrels of oil equivalent produced, Expro is a leading global supplier of fast-track modular MOPU facilities.